Our range of products include drawstring jute bag and drawstring shoulder bags. 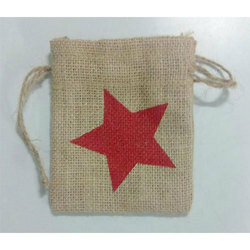 We are the manufacturer of Jute Drawstring Shoulder Bags. Jute Drawstring Shoulder Bags designed by our experts using superior quality materials and according to the international quality standards. These are available in different sizes, colors and designs that best suit various requirements of the clients. Clients can avail these at reasonable prices in the market. We are the manufacturer of Drawstring Shoulder Bags. 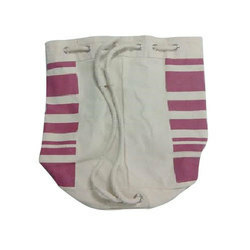 Our organization is engaged in manufacturing and supplying Drawstring Shoulder Bags that are made using high quality tested materials that are sourced from the reliable vendors in the market. These are available in different colors, shapes, designs and can be made as per the requirements of the clients. These are widely used by people for carrying different products. We offer these to our clients at nominal prices in the industry.